February 28, 2018  President Trump hosted Democratic and Republican lawmakers at the White House Wednesday to discuss proposals to prevent school shootings. February 27, 2018  Jared Kushner has lost his top-secret clearance. 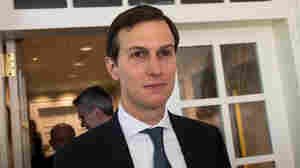 "No concerns were raised about Mr. Kushner's application," his lawyer said in a statement. Instead, the lawyer pointed to a backlog in the process. 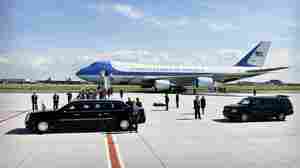 February 27, 2018  President Trump has reached an "informal agreement" with Boeing to buy two new 747s to serve as Air Force One. The company says he got a bargain, but one independent analyst is skeptical. February 27, 2018  President Trump met with several of the nation's governors on Monday at the White House, and the top topic was guns. They also discussed the DACA program. February 26, 2018  The president also criticized law enforcement for not doing enough to prevent the high school shooting in Parkland, Fla., and suggested he would have been more aggressive in engaging the gunman. February 23, 2018  President Trump held a joint press conference with the prime minister of Australia as Trump pushes several ideas to prevent school shootings amid controversies from the Russia investigation and other surrounding security clearances among his staff. 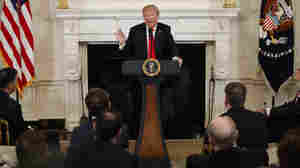 February 21, 2018  President Trump held a meeting with students and teachers affected by last week's school shooting in Florida, as well as other prominent massacres. 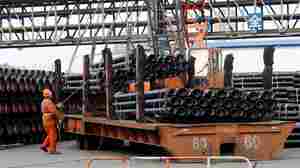 February 20, 2018  U.S. trade partners are threatening retaliation if the Trump administration follows through with proposed tariffs or quotas on imported steel and aluminum. 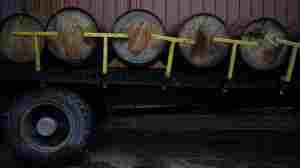 Kentucky bourbon and Harley Davidson motorcycles are among the exports that could be targeted. February 20, 2018  After last week's school shooting in Florida, there may be new pressure ahead with plans for the president to hold listening sessions with students and meet with law enforcement officials this week. February 16, 2018  President Trump and his aides are spinning the grand jury's indictment of 13 Russians linked to alleged attempts to interfere in the 2016 presidential election as an all-clear. Although that would appear to be overstating what the Special Counsel has actually said. February 16, 2018  President Trump is considering imposing tariffs or quotas on imported steel and aluminum. The Commerce Department says action is needed to protect the domestic industries vital to national security. February 15, 2018  President Trump offered words of comfort in the wake of Wednesday's deadly school shooting in Florida. He offered little in the way of specific policy prescriptions to prevent a repeat of the tragedy.